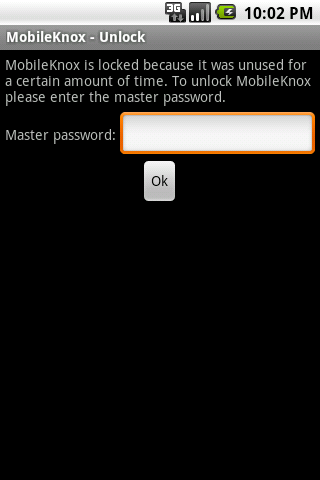 As you probably know I am a developer of a few applications for Android. As a developer I am interested in spreading my applications a far as possible. Some of my applications display advertisements so spreading them means increasing my revenue. So, I checked all the different application stores that are available for Android. I counted more than 18. For many of them I created an account and submitted my applications. Of course, the Android Market is mandatory. Further, I selected SlideMe, AndroidPit, AndAppStore, AppLibs, and Handster, just to name a few application stores. I see significant downloads from all these application stores. This is great as it proves that the economics around the different application stores are working. Such a healthy application store infrastructure is important for Android as it makes it open to many extra hardware devices and frees it from content restrictions inflicted by the Android Market. From a developer point of view the various application stores add to the complexity of handling applications. First, I have to collect the download and sales numbers manually from the various application stores. Additional information such as download region and devices used by customers are not available from all application stores. This makes it cumbersome and tedious for me to track relevant information I usually process to manage advertisement about my applications. Secondly, the update procedure is far more time-consuming. Handling eight application stores means that I have to submit an update eight times. To make it even worse, the different application store have different procedures to submit updates. So, my question is do you know any tool that handles this complexity by cooperating with the various application stores? It should be fairly easy to develop such a tool that is able to collect download and sales numbers and manages the procedures to submit an application update to the different application stores. What do you think? Today I released PingPong 1.5.0. This release contains some power saving improvements. For instance, if PingPong is no longer visible because another is covering it it stops pinging. As soon as it gets visible again it restarts pinging automatically. 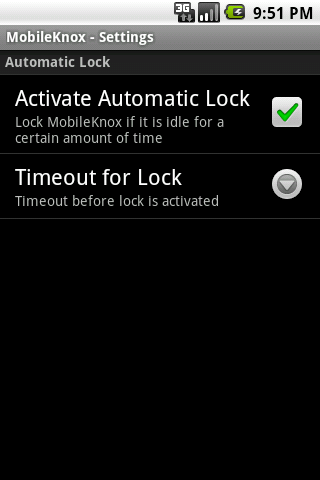 This saves battery power while providing great services. Finally, I would like to reference an article over at SearchNetworking. In this article they are talking about PingPong and how it can be used. Thanks guys! Unfortunately, PingPong was not a real success so far. I just sold 85 units. Hence I decided to give it away for free and see how the download numbers develop. If it does well I will think about adding some advertisements. 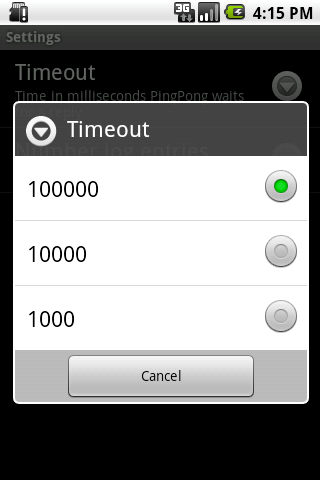 However, so far, PingPong comes just for free without any advertisements. 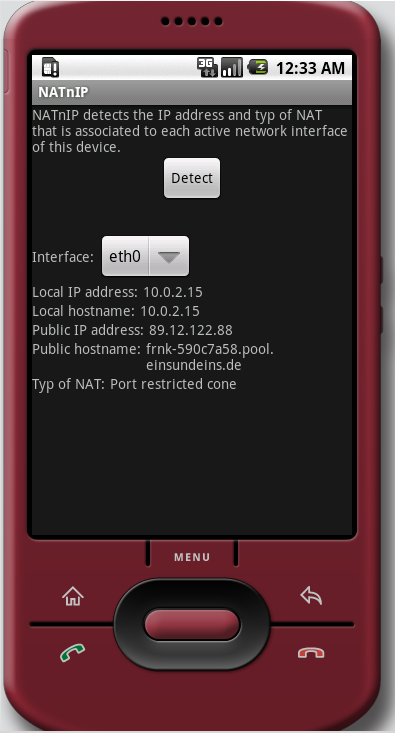 Have fun using NATnIP and PingPong. 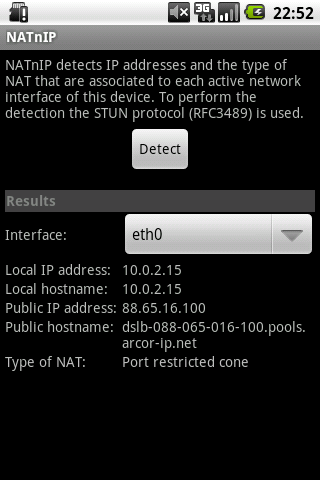 I am working on an Android application that uses the JSTUN library to detect the public IP address and typ of NAT that is associated to a network interface of a device. This is a great finger exercise while learning more about the Android software.